Dorothy Dyer became an English teacher because she loved reading. It was how she understood herself and the world around her; a vital, practical skill and a gateway to a world of imagination and inspiration. Yet Dyer found it hard to attract young children from Cape Town’s townships to start reading, especially in English. Nationally, less than half of children in Grade 6 in South African schools reach the expected standards of literacy. Dyer found there were far too few of the kinds of books that worked: short, written in accessible English and reflecting the students’ own lives. She created FunDza to provide a new kind of book that would help tackle the literacy crisis: one that could be read and shared on a mobile phone. FunDza commissions short books, both fiction and non-fiction, written by young South African writers from a variety of backgrounds. A new book is published each week and can be downloaded in seven instalments that can be read on a basic mobile phone to create a dailyreading habit. 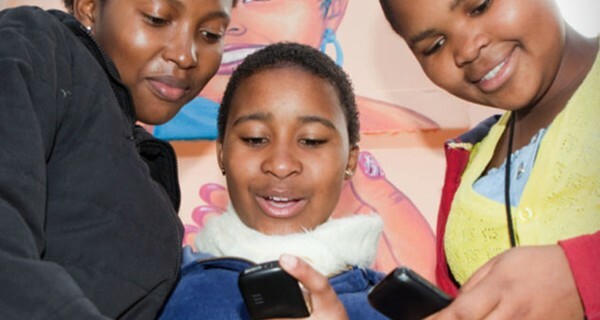 FundDza is available as a mobile download, on Mxit, the social networking portal which has 10 million members, on BiNu and from the organisation’s website. FunDza has around 50 000 unique visitors each month, with over one million page views. The average visit lasts 14 minutes, suggesting a relatively sustained engagement with the content. Readers can complete quizzes and leave comments on the content. The growth in FunDza’s channels shows that young people are comfortable with the technology and are keen to read using their mobile phones. It is also providing a platform for young writers to contribute their own prose, plays, poems and articles for publication and comment from their peers. FunDza also brings its members together, for example for a “Writing Me” creative writing workshop that allows young writers to explore their personal history and a “Branding Me” session which provides participants with the necessary language skills for CV and letter writing.